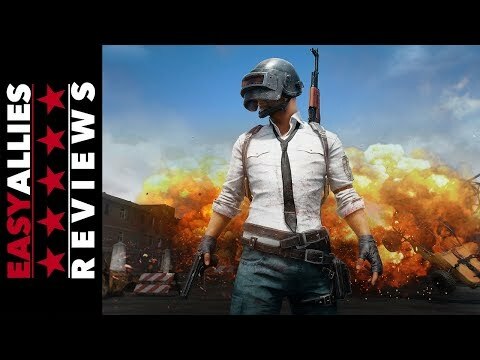 PlayerUnknown's Battlegrounds has taken the military-sim gameplay popularized by games like ARMA and DayZ, boiled it down to its most exciting parts, and streamlined it into quick and accessible rounds of pure, hassle-free, survival-based action. Even though each game starts the same way, its remarkable ability to feel like a new, tense adventure each and every round has kept me coming back for hours on end. PUBG is one of the best multiplayer experiences of the generation, and this is the best version of it so far – even if it's still a work in progress. PUBG is one of the best multiplayer experiences of the generation, and as technically flawed as this Xbox One version currently is that fact still shines through. In spite of technical flaws and the dreary mirror it holds up to us, Battlegrounds in consistently enjoyable and surprising. There is a reason why it is the battle royale game. PUBG is such a pure and fun experience that it overcomes its many flaws. There are glitches, there are crashes, there is jank. The game will probably never be fully done. But parachuting down onto that island feels new and exciting every time. A number of simple ideas comes together to make a great game and establish a great genre. You just might have to have an abnormally high tolerance for bugs to fully enjoy it. Even if the developer thinks they invented a genre that's been around for years, their hubris and the game's hype had no impact on this assessment of PlayerUnknown's Battlegrounds. It's a rare occurrence when something makes its way into my weekly rotation of games, and jumping into its crazy world of survival is something I still look forward to after all this time. PlayerUnknown's Battlegrounds is an absolute blast to play and has a broad appeal that few other games can match. As long as you temper your expectations (and make sure you have a decent PC), then this is one of the top games of 2017 to check out. Having now passed the 1.0 mark and left Steam Early Access, PlayerUnknown's Battlegrounds remains a diamond in the rough. Despite its innumerable technical problems and its complex control, PUBG on Xbox One continues to provide the same unpredictable PC experience, now also with all the available content. PlayerUnknown's Battlegrounds is a groundbreaking game not just because of its unique design, but also because of how it shakes up the standards we've been judging games by for years. If it continues with the work done so far, and if we trust the promises that come to us from those responsible, the battlefields of PlayerUnknown can become, without a doubt, the most important games and records of this decade.